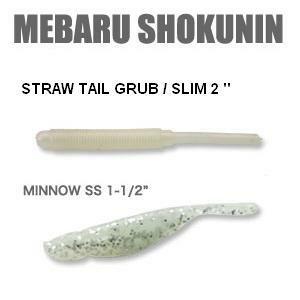 MEBARU SHOKUNIN is a new line-up made specifically for the MEBARU (rockfish) angler. It includes 3 types of lures which are highly effective when targeting rockfish, "MINNOW SS", "STRAW TAIL GRUB" and “STRAW TAIL GRUB SLIM". They can be used to imitate a wide range of bait, and can be swapped around to suit the fish activity level. 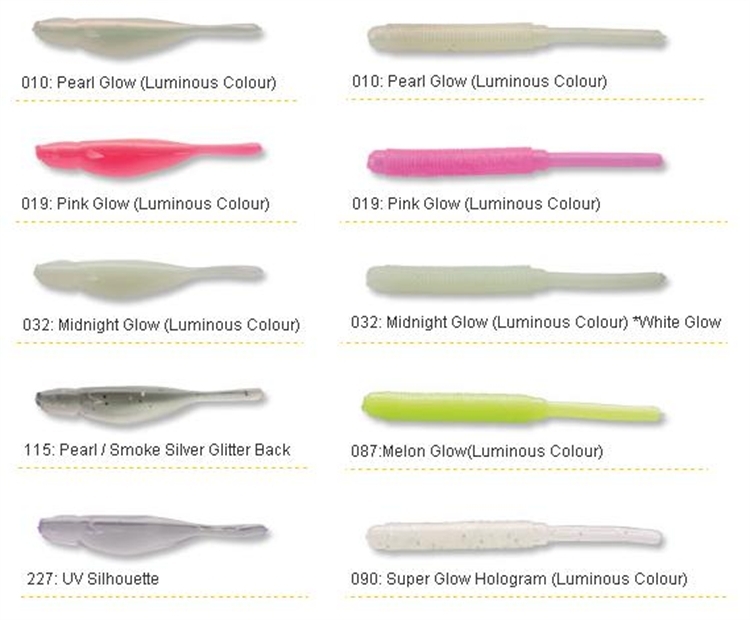 The colour line up has been specially selected in collaboration with rockfish specialist anglers from all over Japan. Care has been taken to keep the lure on the hook, by using special non-salted material. MEBARU SHOKUNIN is a must have for the serious rockfish angler! 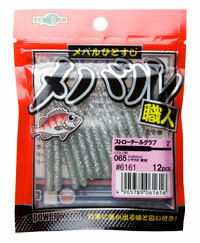 MINNOW SS 1-1/2" / 38mm 12pcs. STRAW TAIL GRUB 2" / 50mm 12pcs.